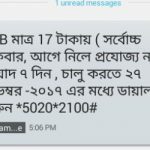 Bangladeshi most popular and number one telecommunication company GP has come to their valuable customers to activate GP 1GB 26Tk Internet Offer. 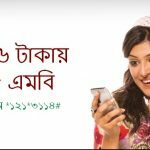 We know that, Bangladeshi biggest and users friendly telecom operator GP all times brings to their valuable prepaid and postpaid customers to activate special internet offer and call rate offer. 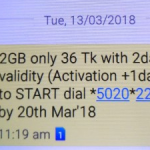 Its continuation, they have comes to their users to activate 1GB Internet only 26Tk Offer. It is very special and exclusive internet package for all subscribers. The internet users who want to activate GP Low price internet package. No tension, just read this full content and waste some times with us. 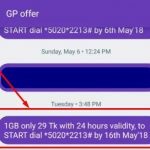 In this content we will share all more details how can activate GP 1GB Internet only 26Tk Offer. GP all selected customers are eligible to this exclusive 1GB Internet 26Tk Offer. To activate this offer, customers need to dial USSD Code *5020*2213#. Subscribers have got valifity this offer in 24 hours. Users will use this date under the 3G Network. This offer will run up to 28th April 2018. 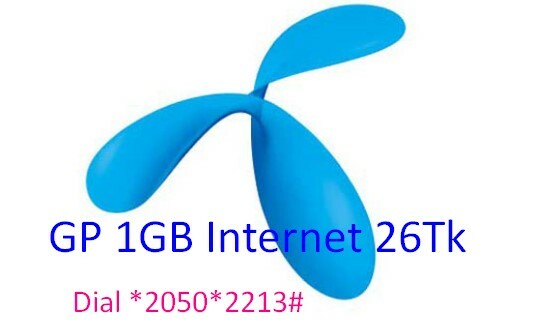 Now all customers enjoy to activate GP 1GB 26Tk Internet Offer. If you faced any problem to activate this offer or faced any problem, just comment the updateoffer.com box. Thanks to all for being here.